ANDERSON, SC (WSPA) – The countdown is on until over 1,500 students are moved into the new Anderson Institute of Technology. 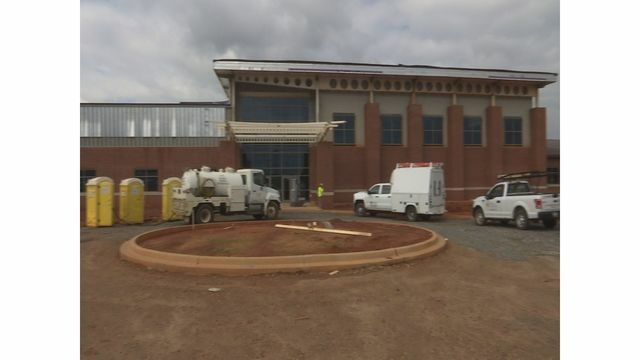 The building is already 90 percent complete despite construction crews dealing with 90 days of rain. But this $34 million project will have the first equipment moved in on Monday. Over 20 programs will be offered to students from Anderson Districts 3, 4 and 5 ranging from mechatronics to agriculture. The overall goal of the new facility is to offer more to the students and impact the community and local businesses. “There is such a demand right now for students with certifications and qualifications to go into the industry in Anderson County for the future workforce so the demand is there. It’s just a matter of finding people to fill the jobs,” said Bob Couch who is the Director of Anderson Institute of Technology. The project was paid for by the penny sales tax with 70 percent from District 5 because they have the largest population attending the new school. The goal is to have the teachers in the building by July and the students will start in August.